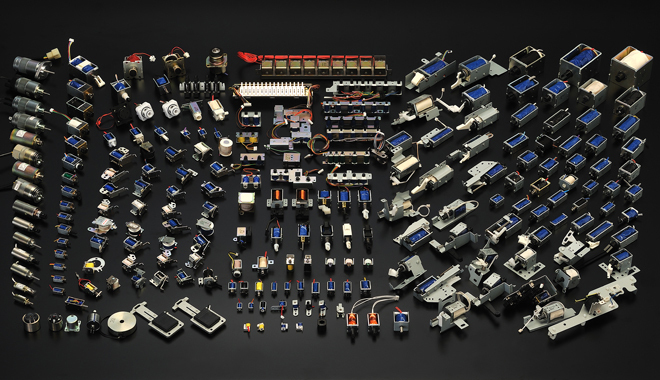 Accomplishments | TDS Co., Ltd.
TDS provides the best solenoid solutions to meet your needs. 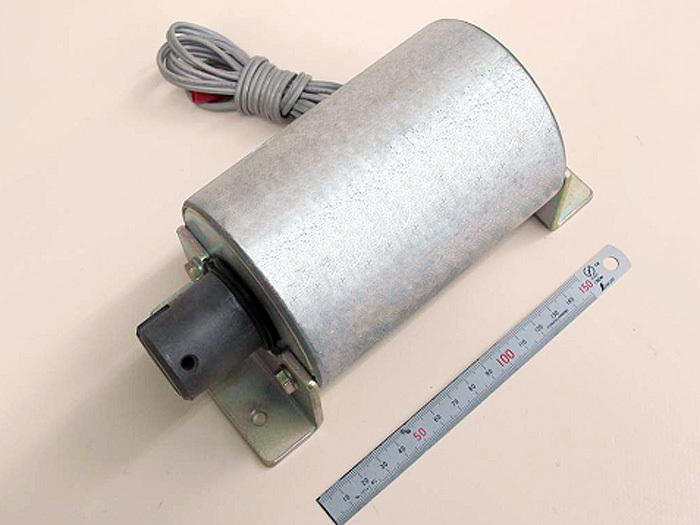 With the continued effort to achieve the best performance for our valued customer’s requirement, TDS has developed various kinds of solenoids and delivered them to the customers. Here are some distinguishing examples. 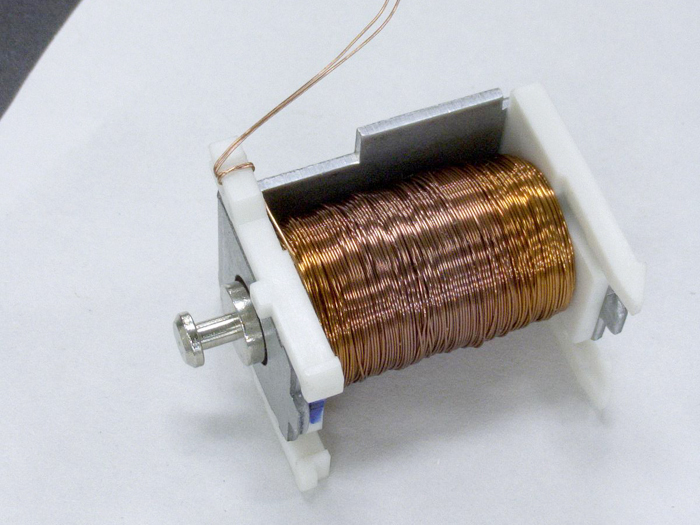 Special coil winder for large electrical transformers is used to wind up this extra large coil for this super-sized solenoid. 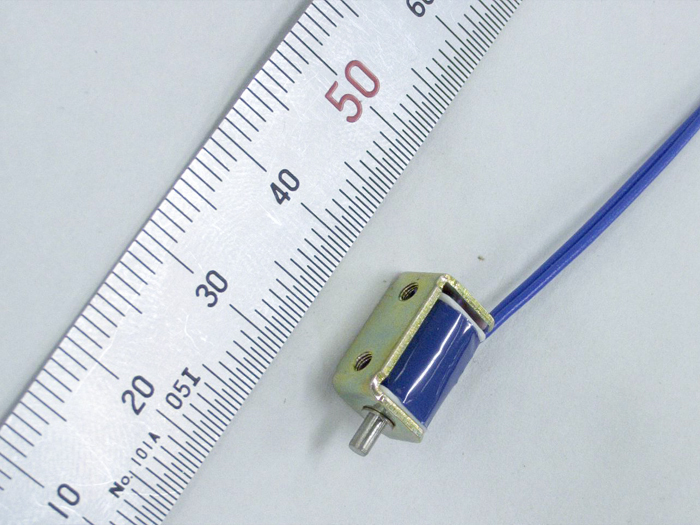 To meet the customer’s urgent requirement for card lock mechanism for the data reading in the limited installation area, TDS newly designed and launched this smallest solenoid within only 3 months. 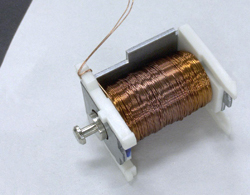 The coil center was displaced slightly from the yoke center to keep enough space for installation screws within the limited thickness. 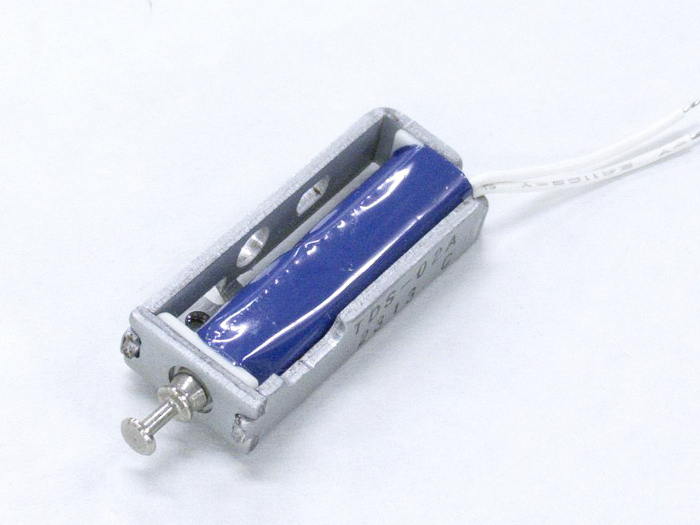 The low cost solenoid without a cover insulation tape or lead wires achieved lower cost solution for recording and playing mechanism for music cassette tapes. 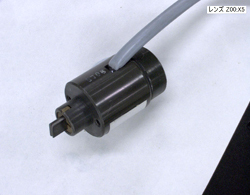 It was first time for TDS to make solenoid plunger stopper by cold heading and it took time for us to make a taper of the stopper flat. 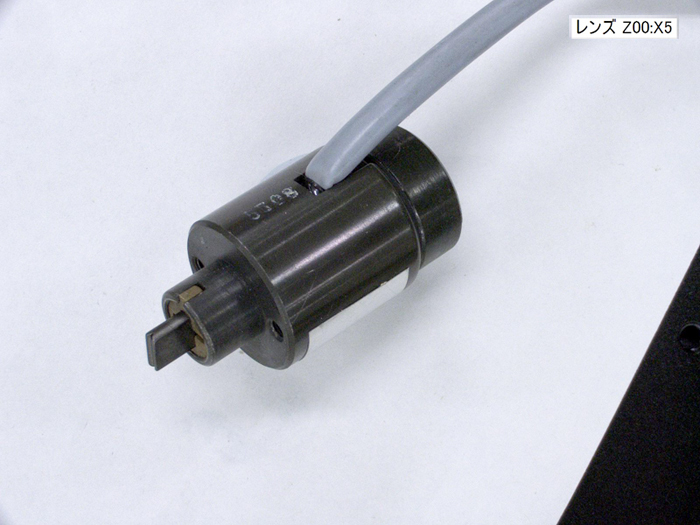 To check the proper assembly of the plunger stopper, a hole was made on the yoke part because the plunger stopper assembly is not visible from outside. 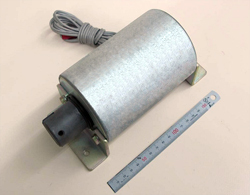 Solenoid for automatic assembly with cold headed plunger and stopper. 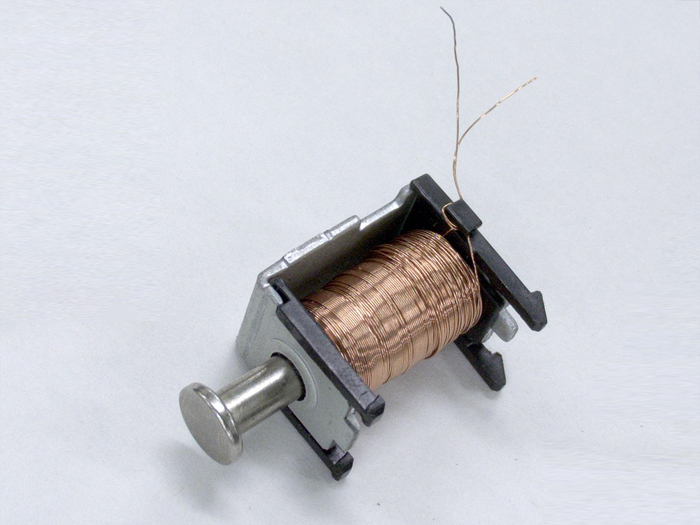 Cam drive to switch the winding direction of a magnetic tape. 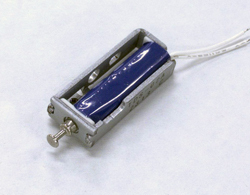 To further lower the cost of a tape player, TDS designed even smaller solenoid with cold headed plunger. 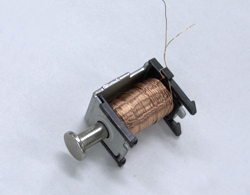 The electric English typewriters were made in Japan and most of them were shipped to the foreign countries. 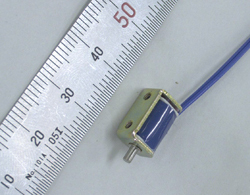 Originally 10 units of TDS-08A (open frame solenoid) were planned to be used, but to save the yoke and cover cost, TDS designed this unique U-shaped 10 consecutive-solenoid. * Solenoid solutions introduced on this site were manufactured in the past and they are no longer available. 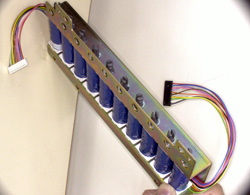 For the same type of solenoids, initial investment may be required.